This month celebrating our first 10 years in business! 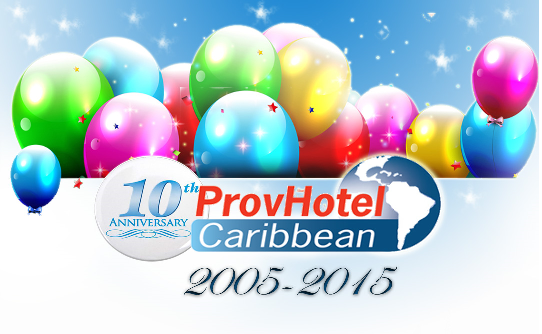 We are honored to be a supporter and partner in the Caribbean Hospitality Industry, maintaining an active and successful presence over 10 amazing years. For this special occasion we are proud to announce the launch of our new website www.provhotel.com/wp, with a new look and functionality, designed to be more Interactive, easier to explore and be always updated with in detail product Info, upcoming products and innovations. We invite you to visit our website which is still under development and give your comments.